We are offering various types of Red Chilli Powder that are distinguished by their spiciness. Red Chilli Powder, that we make available, is made from high quality Red Chilli and is free from any impurity. 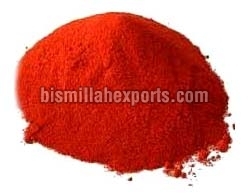 Our Red Chilli Powder is extensively demanded in households, hotels, restaurants, food joints, etc. Avail premium Red Chilli Powder at reasonable prices from us.